As the garden season comes to a close, there is still a lot to do to prepare your garden for winter, and you need to act soon because the first frost is on the way! Here is a list of things you can do to protect your garden from the harsh winter and even revitalize your soil while its buried under snow. These are your plants that come back every year. They basically hibernate in the winter then once the warm spring weather hits, they come back to life. 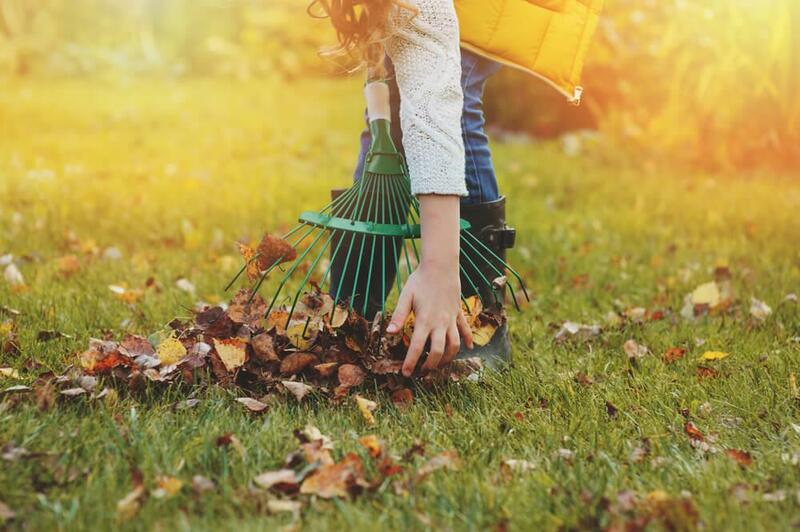 Start with a good, deep watering when you begin your fall cleanup. Most perennials need to be pruned back to about 2-3” from the ground. Larger shrubs you can prune back by a third, cutting the woodier branches to make room for new green shoots in the spring. But before you go cutting everything back, this article is a helpful reminder that not all plants like to be cut back, but some really should be to avoid pests and to encourage new growth next season. I personally don’t cut much back except my peonies and a few others. You can cover the base of your perennials individually with leaves, straw or mulch to protect them from the cold. Shrubs can be wrapped in burlap if you’re worried about them staying warm. If you’re planning a new garden you should till the soil and add in fertilizer. Cover with mulch or even a layer of newspaper or garden cloth until early spring. This will help control weeds or seeds that may grow. Any area of your garden that has been overrun with an unwanted weed or an aggressive invasive plant can be covered to discourage their return. Here in Toronto, there aren’t many annuals that will last through our harsh winters so I usually pull up everything and if it’s all healthy and pest free, it goes in the compost bin. Before the ground freezes, dig up any bulbs you want to store for winter. Once the leaves have died you can chop them off. You don’t need to dig up bulbs every year, but every couple of years is beneficial. Brush the dirt from bulbs you are storing and keep them in a dark and cool place. It’s important they don’t touch while stored or get wet, a layer of newspaper can help with this. In a paper box or bag in your fridge is a good spot if you have the room! Many herbs are hardy perennials that with a little care can withstand harsh winters. Mulch them heavily for extra protection. Rosemary is really the only one that needs to be protected with burlap or potted up and brought inside. Parsley should also be covered to survive the cold. Make sure you harvest some of each herb to dry and use over the winter. Nothing says winter cooking like sage, thyme and rosemary! Your summer veggies should all be pulled up except for some winter crops that can handle a little frost like carrots, beets, parsnips and turnips. Kale and other brassicas are exceptionally hardy and could even last the winter. I actually had a tiny kale seedling that popped up late last fall from a plant that had gone to seed. I left it and it revived early in the spring before it bolted with the first heat wave. If the veggie plants you’re pulling are healthy and pest/disease free, they can go in your compost bin, otherwise bag them and toss them. Till the soil in your veggie bed, add compost and work it into the first 6” of the soil. Tilling the soil will also expose and kill any grubs that overwinter in soil and become pests in the spring and summer. Cover the soil with leaves, mulch or a layer of newspaper if your garden was exceptionally weedy this year. If you have a lot of leaves you could grow some leaf mould. Pile leaves into a plastic bag and keep them wet. It takes some time (1-2 years), but the leaves will eventually breakdown into a rich, high mineral additive for your soil. When this is all done and winter has set in, you can start combing seed catalogues and planning next year’s garden!